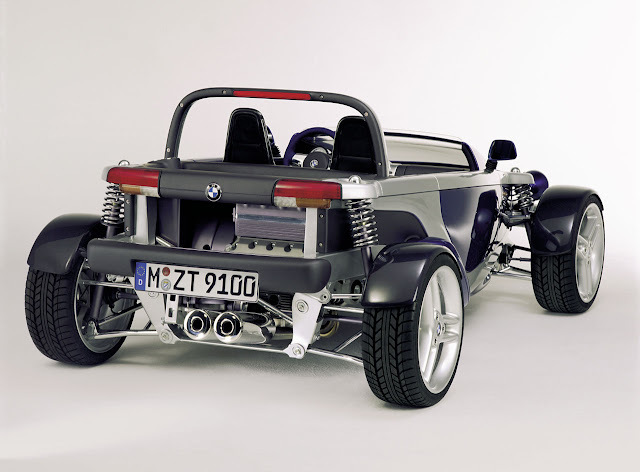 This concept is the only roadster with off road capabilities BMW has ever developed and inspired by a desire for the versatile mobility and wind in your hair feeling of Enduro motorcycles with all the comforts of a car. Powered by a 355hp V8 and 4 wheel drive this prototype is fully functional and fully capable of going off road. 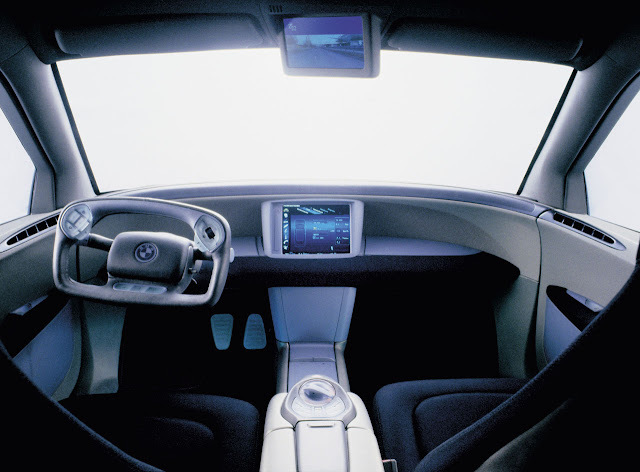 The Variable interior concept can be reconfigured from a 2 seater to a four seater to a pickup effortlessly. 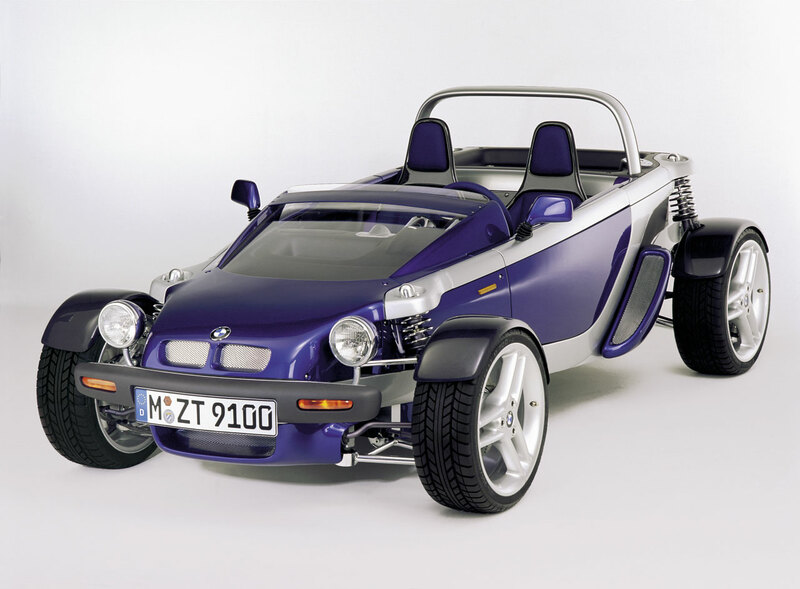 A captivating concept revealed in the 1995 Tokyo Motor Show embodies some of the emotions that only a motorcycle can deliver. 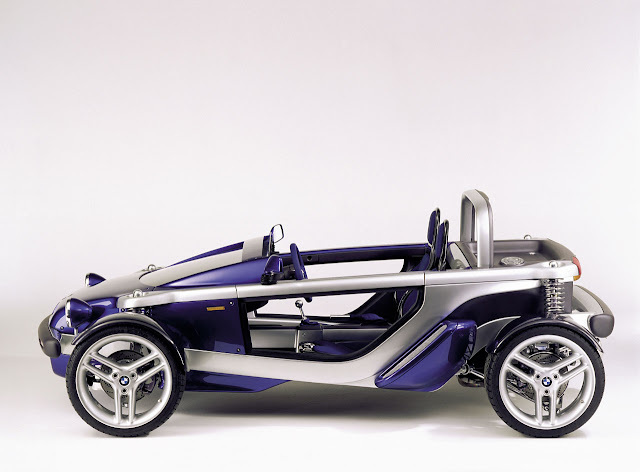 This concept focuses on enhanced driving pleasure for two, the minimalist exposed mechanics and open wheel allows the public and it’s driver to enjoy the simple pleasure of it’s ultimate engineering. The BMW Just 4/2 is developed with special clothing, helmets plus side, passenger and driver airbags for enhanced safety. 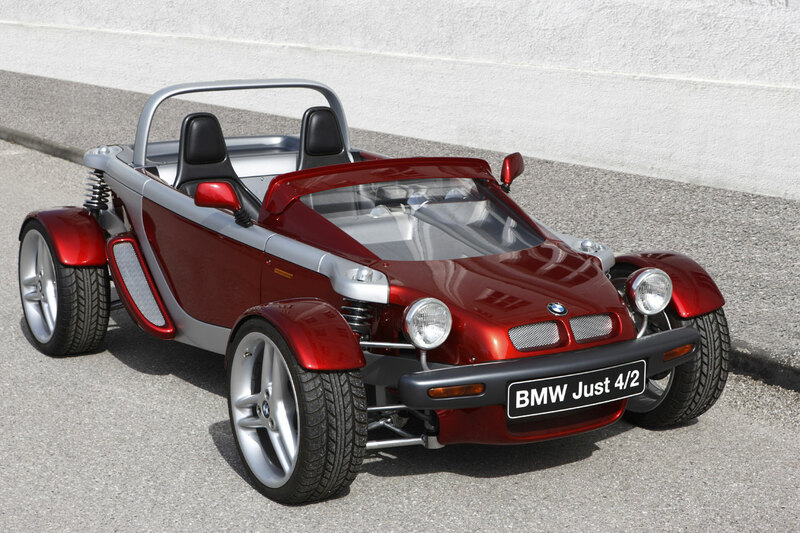 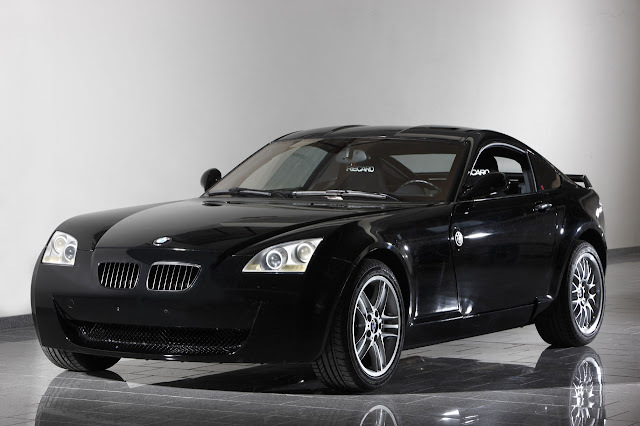 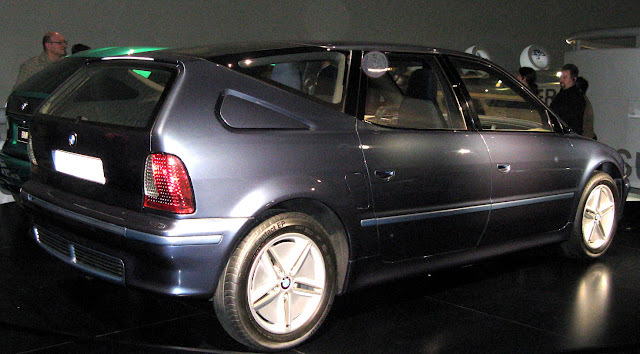 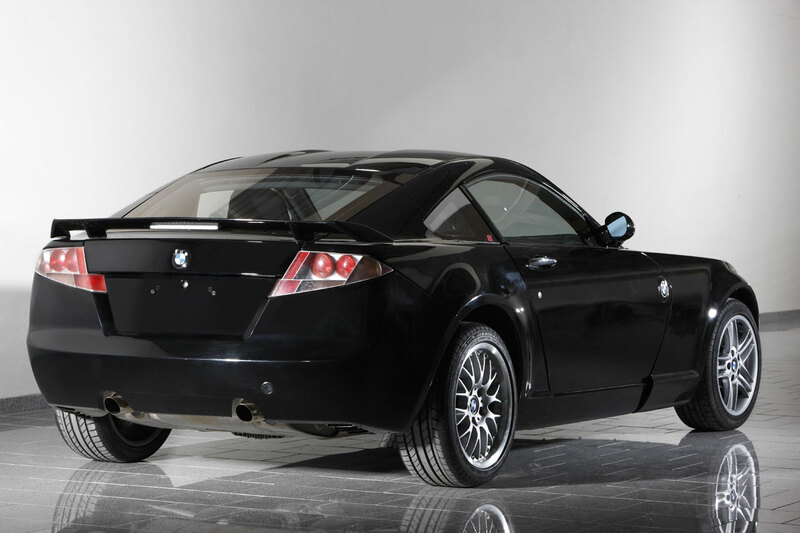 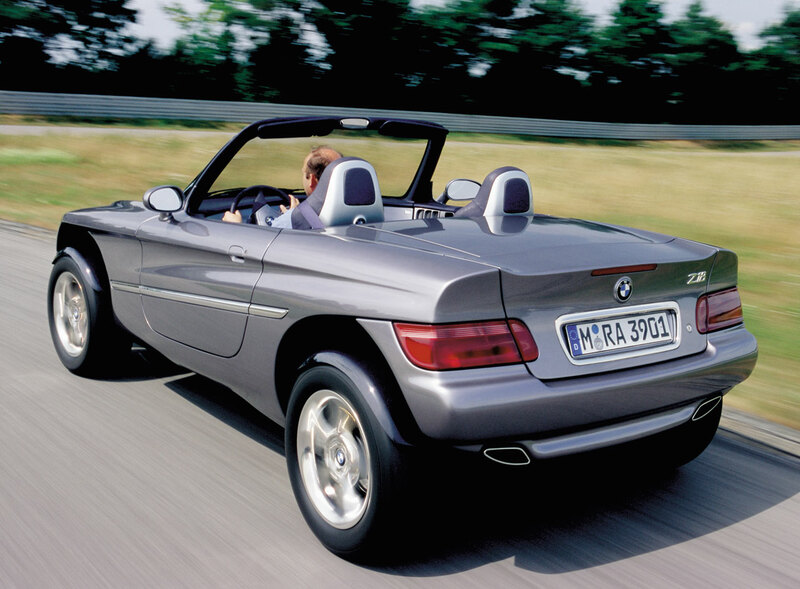 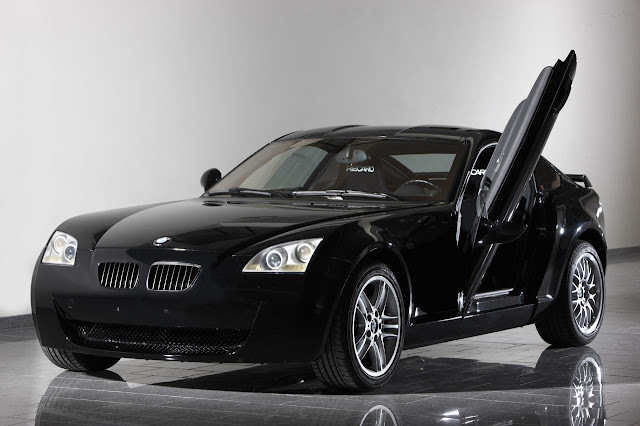 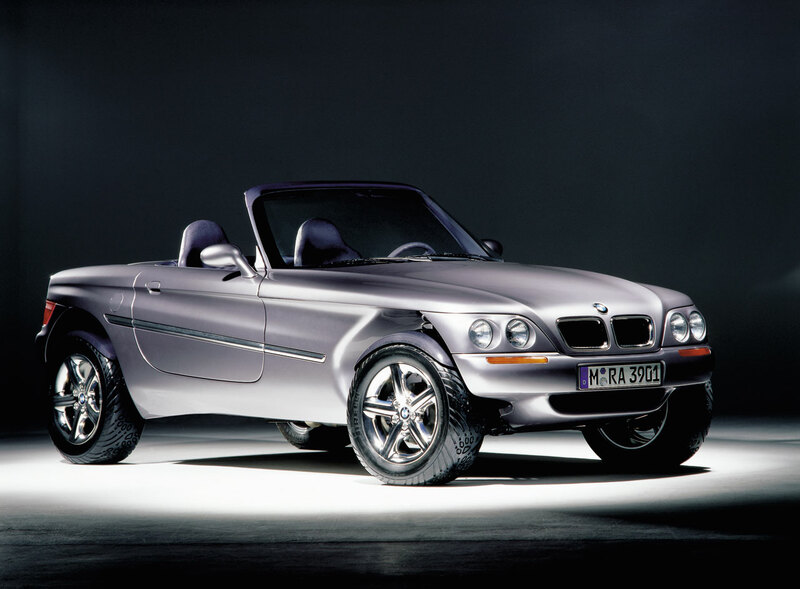 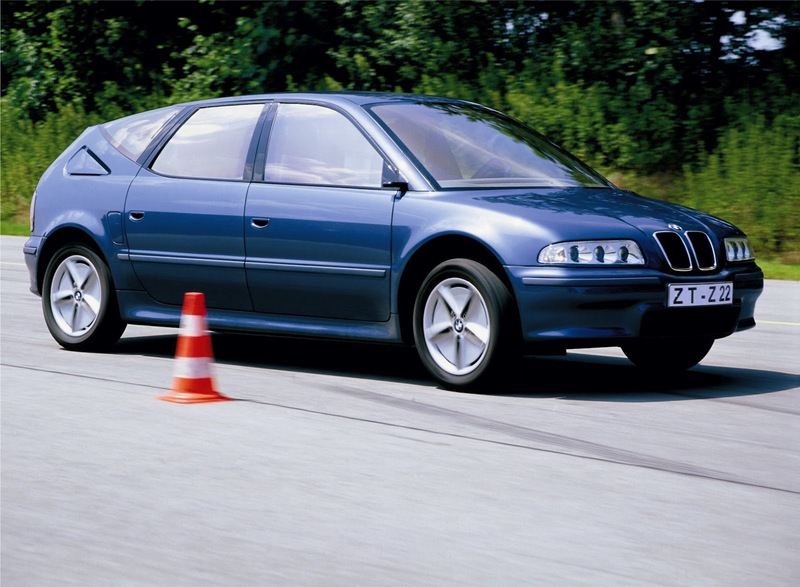 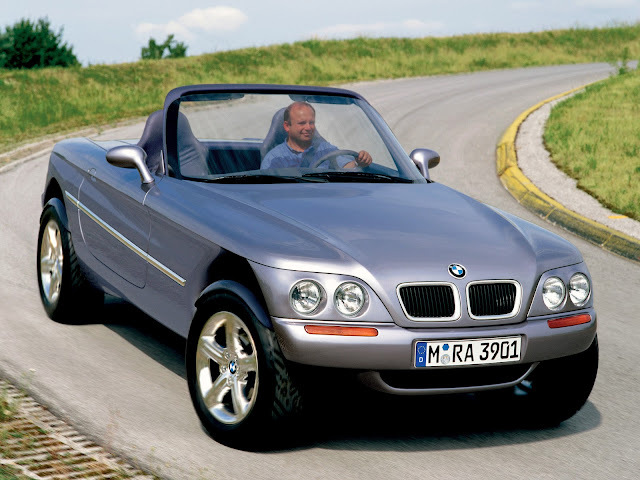 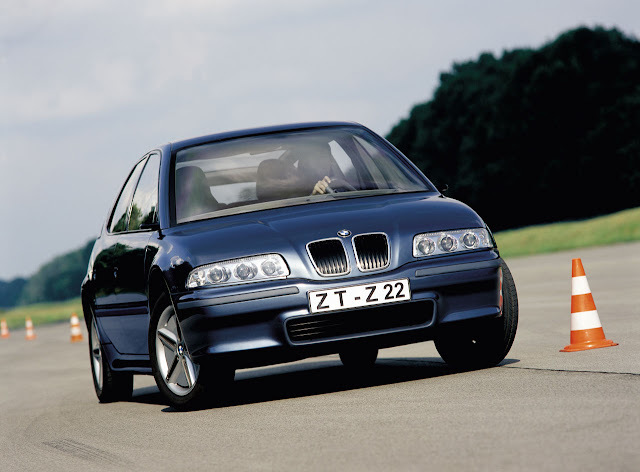 A design study featuring more then 70 innovations were presented on the 1995 BMW Z22 Concept car focusing on lightweight construction, mechanical and safety systems and control and power unit. The highest safety standard is attained while reducing weight through the use of carbon-fibre reinforced plastic furthermore cameras replace wing mirrors, electromechanical braking system, adaptive headlights, heads up display have also seen their debut on this 1995 Concept car. Most of these technologies have made their way on most BMW models today, including the Z22’s familiar shape… the BMW Gran Turismo. 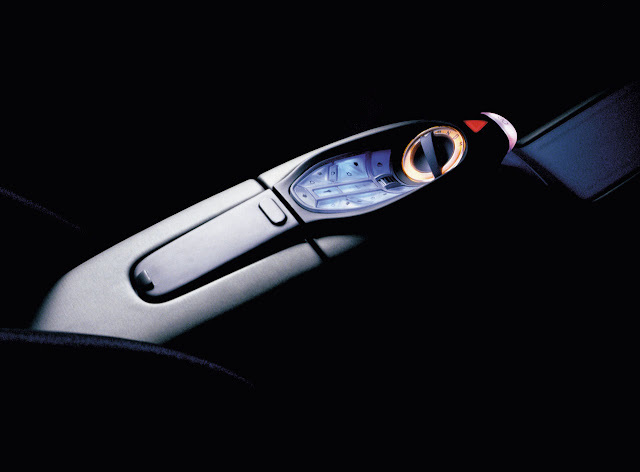 Weight Optimization using advance high tech materials was the focus of this 2001 concept study. 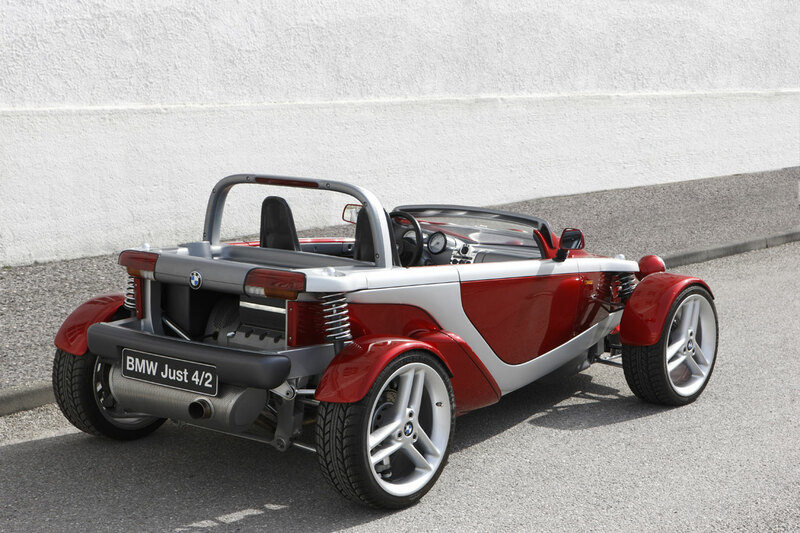 Flame surfacing can be seen applied to this concept as well as vertical opening scissor doors, this concept is powered by the same in-line six found in the M3 of the time. 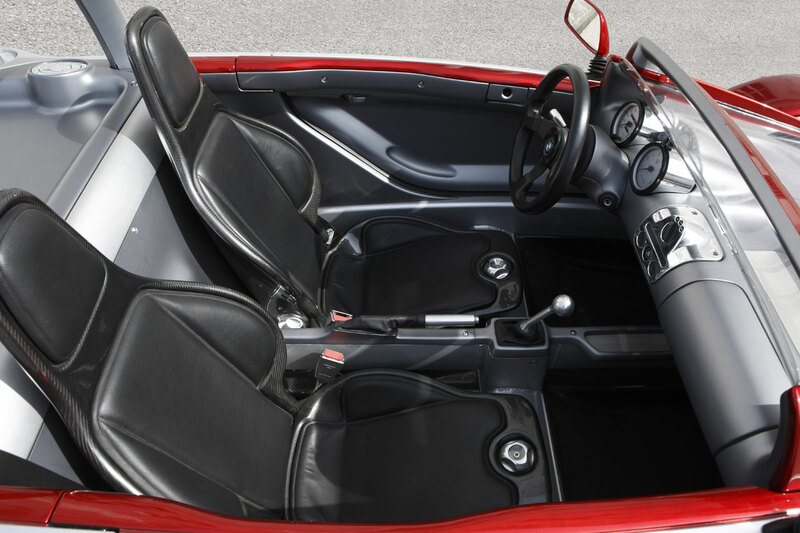 Have a look at the interior; the air vents and door levers can now be found in the MINI Countryman.